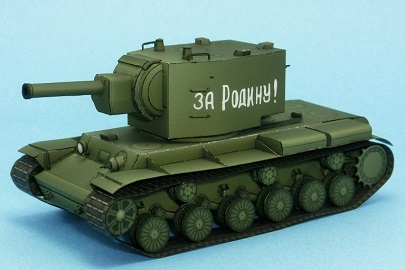 KV-2 is a heavy tank that has been developed in the Soviet Union during the Second World War. The car was developed as a fire support tanks for the position breakthrough, it was equipped with a large rotating turret equipped with a 152mm howitzer M-10 to the body of the KV-1. KV-1 was the inheritance of low reliability and the rate of fire of slow large tanks of drawbacks, such as, but was active in the Winter War and the German-Soviet war in the thick armor and strong firepower. This entry was posted in VEHICLES on 19/11/2016 by ToyXD.